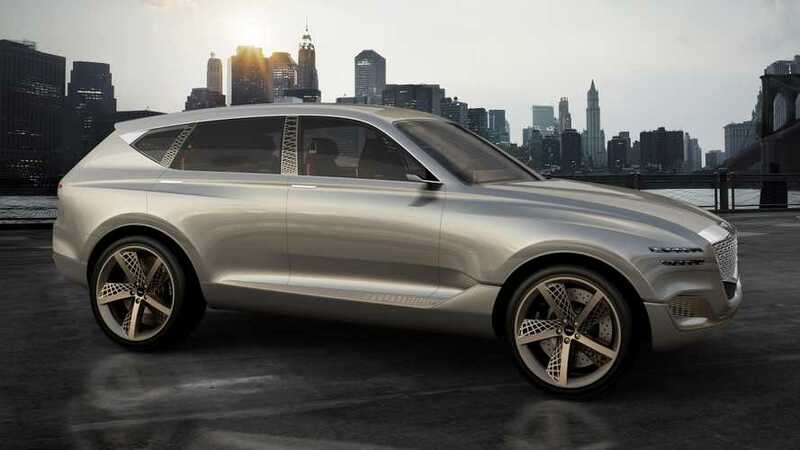 Genesis, Hyundai's luxury brand, has been hinting for a long while that it wants to get into the electric-vehicle game. Until now, though, that talk has been of the pure-EV kind, or perhaps a PHEV. At the New York Auto Show today, though, Genesis surprised with the GV80 Fuel Cell Concept, a striking metallic SUV that doesn't foretell any specific future vehicle. It does, though, give Genesis something to talk about as it, "continue to study the benefits of similar alternative propulsion systems and eco-friendly technologies for future product applications." That's about all that Genesis is saying about the futuristic powertrain. There hasn't yet been any production plug-in hydrogen powertrains come to market, mostly because the costs would be incredibly high for two powertrains that don't necessarily complement each other. Most of what Genesis wants to talk about here is the design, the refined version of the brand's 'Athletic Elegance' design direction, which was introduced in the G90 flagship in late 2015. Here in early 2017, Genesis says that the GV80, "reveals precision details and a confidently evolved design language that provides subtle glimpses into the bold future of Genesis' design and product development." 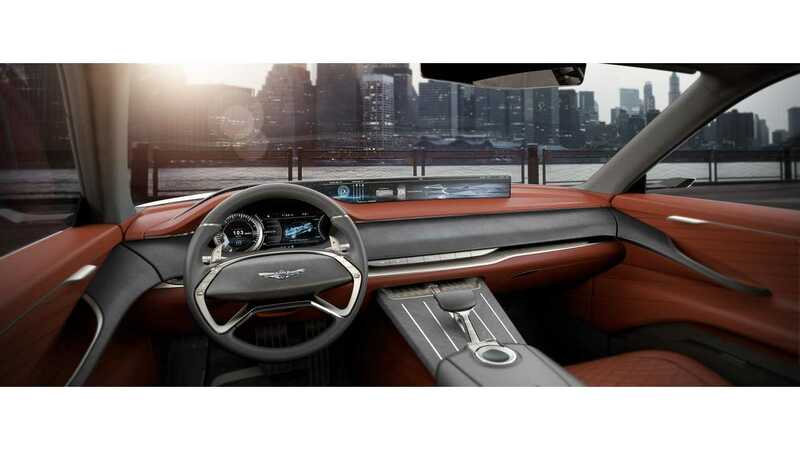 The company further speaks to the, "confident posture and athletic prowess" of the exterior and an interior that, "indulges passengers and immerses them in technology." It goes on and on like this. "The GV80 Concept presents a modern and refined interpretation of a capable sport utility vehicle, building on the strength of architecture and the beauty of natural elements. ... Further uniting the interior and exterior, the GV80 Concept's side pillars are constructed with a structural truss design viewable from inside and outside the vehicle. ... An ash wood lower center console integrates the high-tech controller and polished linear metal inlays with capacitive touch capabilities. ... By tapping these metal strings, passengers gain separate control of a mini- view on the right side of the wide display without disturbing the driver." In other words, look at the pretty thing we made, but don't expect to ever drive this pretty thing.